Volkswagen Golf SV Performance, Engine, Ride, Handling | What Car? 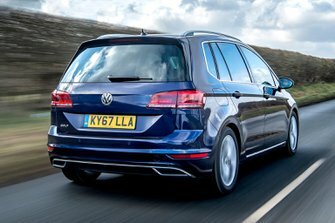 Based on the same chassis as the regular Golf, the SV model drives with a level of precision and control that is simply missing from MPVs such as the Renault Scenic and Citroën C4 Picasso. 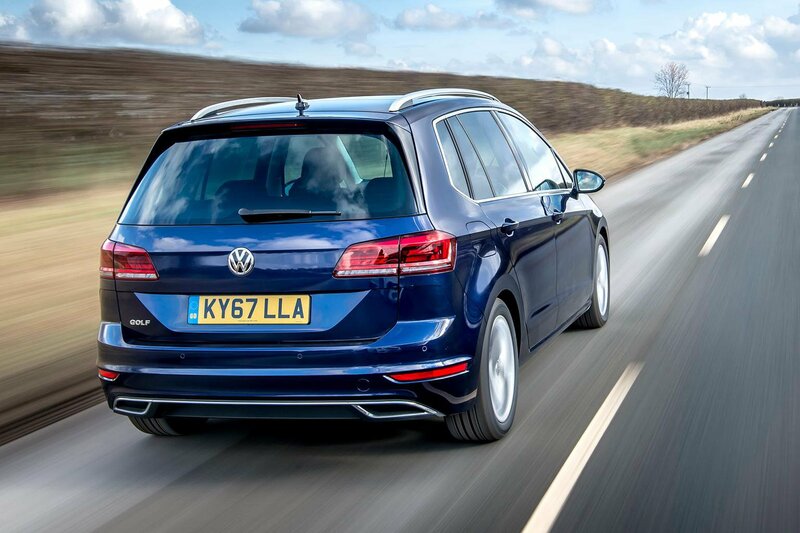 Push on over demanding country roads and, due to a higher centre of gravity than the standard Golf, there is a touch more body lean through the corners – although the balance of body control and ride quality is well struck. Mid-corner bumps are handled with an impressive deftness and there’s plenty of grip, so you can hustle the car along a twisty B-road surprisingly swiftly. On the motorway, the Golf SV continues to impress, with a surprising lack of wind noise for such a tall body. You also get the benefit of a raised driving position, making the car easy to place on the road, thanks to impressive all-round visibility. Road noise, at least on the larger 17in wheels (we have yet to try the 16in ones), is a little intrusive on more abrasive surfaces, but it’s nowhere as loud as the Scenic on its standard 20in wheels. We’ve had the opportunity to sample the entry-level 108bhp 1.0-litre petrol and the 1.5-litre petrol engines in both 128bhp and 148bhp states of tune. 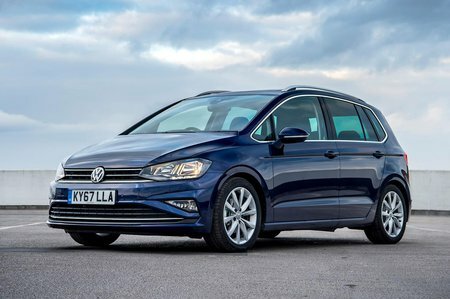 The more powerful 1.5 unit impresses with its low-down grunt and willingness to rev, and it feels particularly peppy when paired to the slick optional seven-speed DSG automatic gearbox (a six-speed manual is standard). However, it's significantly more expensive than the 128bhp version and fractionally less economical. It’s also hard to justify the extra outlay when the lesser-powered 1.5 is perfectly suitable for most day-to-day driving situations. The 1.0 is more of a disappointment. Volkswagen decided against this unit in the Tiguan SUV, believing that such a small engine wouldn’t make sense in such a large car. That’s a decision that would have made just as much sense here. Like most turbocharged small-capacity petrol engines, there’s a significant step in its power delivery and even when the motor gets going – at around 2000rpm – drive is modest. In a car designed to carry family and luggage, this engine's distinct lack of grunt could be a problem. We'd certainly think twice before tackling particularly hilly roads. We have yet to try the 1.6-litre 110 and 2.0-litre 150 diesels.